Cold-Heading & Forging Quality, also referred to as CHFQ, maybe used for heading, forging, cold extrusion and other similar complex parts. 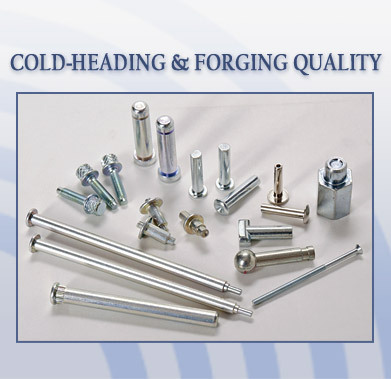 Traditionally fasteners have been manufactured using the thread cutting or by hot working method. But now the trend is moving towards using the cold working process to enhance productivity and to keep the cost down. It also provides good surface finish and dimensional accuracies to the fasteners. 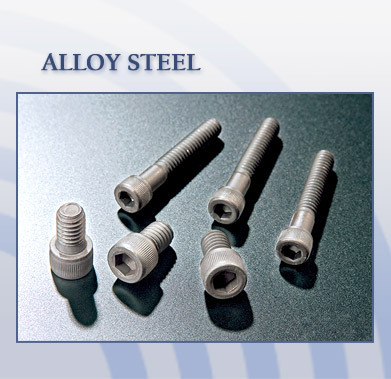 Alloy Steel, an example of durable CHQ material contains the high performance components that meet the exacting requirements of the automotive, construction and mechanical engineering sectors. Close compositional control and quality manufacturing procedures ensure within cast variability is kept to very low levels. This delivers long-term product performance through consistent heat treatment response.